The innovative GEHA is our luxury wardrobe system that is utterly individual. All produced using real wood veneers and with numerous front designs and the option of bespoke productions this makes GEHA both extraordinary and exclusive. 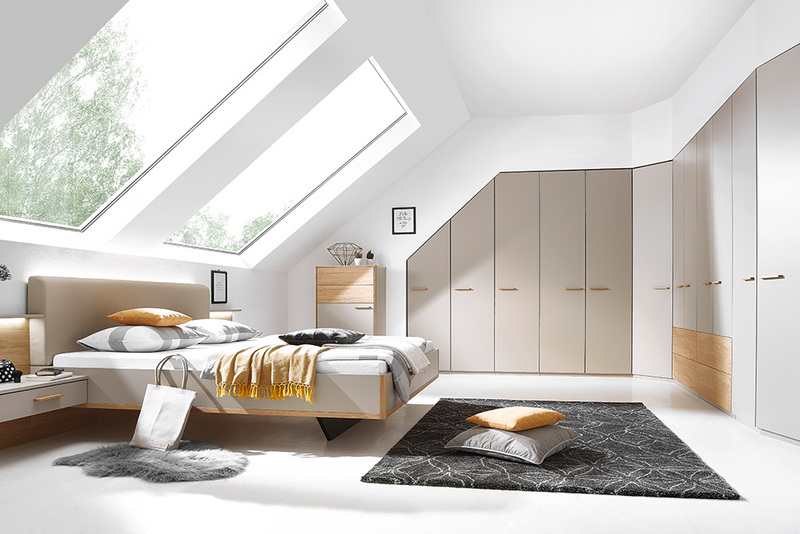 GEHA can be tailored down to the last detail and is virtually suitable for any interior design concept thus creating your ideal bedroom space. 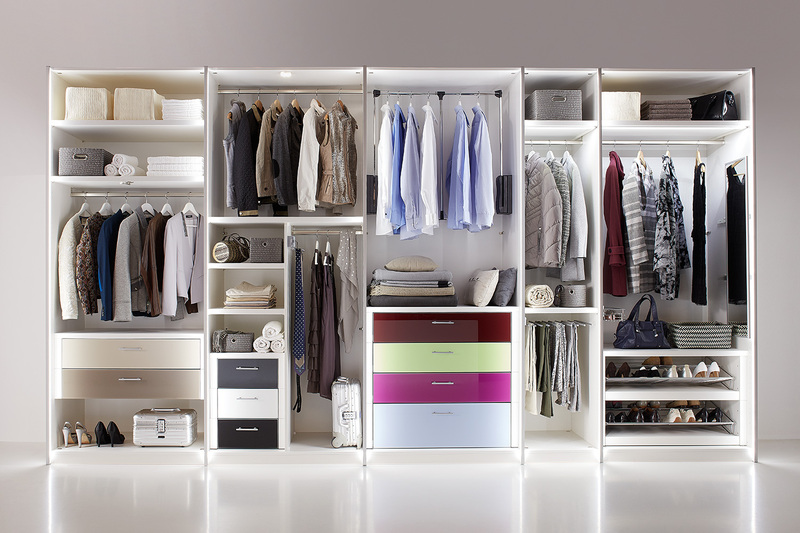 Modern architecture can pose a real challenge to conventional wardrobe systems. This is where GEHA comes into its own. Whether dealing with alcoves, chimney breasts, windows or corners our GEHA system not only adapts to the situation, it also offers versatile solutions where your creativity will know no limits. Mix Hinged, folding & sliding door wardrobes. Choose from a wide variety of surfaces and handles. The unrivalled quality and customised solutions make every room a personal favourite place. 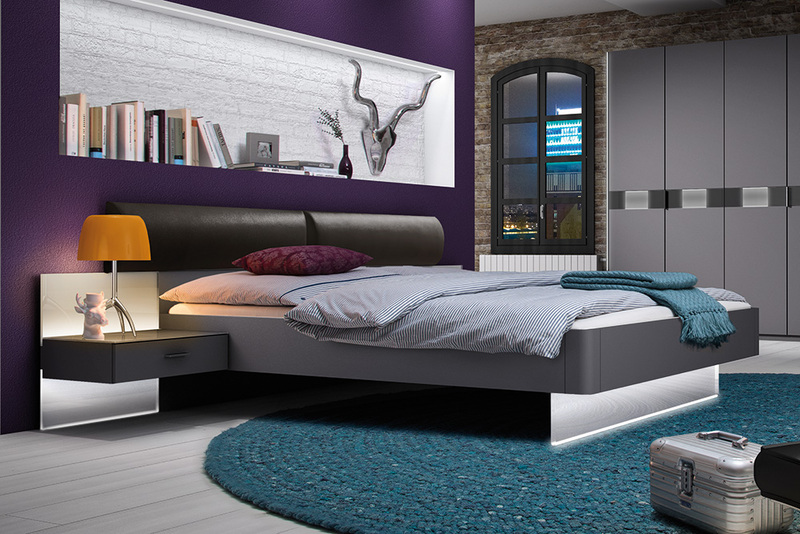 GEHA’s bed system fulfils all interior design requirements. Head – and footboards can be combined individually. Upholstered, with indirect lighting or accentuated with contrast colours. GEHA combines modern, timeless design with maximum comfort and functionality. The bed heights can be adjusted to 4 different heights for optimum comfort. Want to see your bedroom designed with Geha? Modular design with an individual appearance, thanks to the many surfaces available. 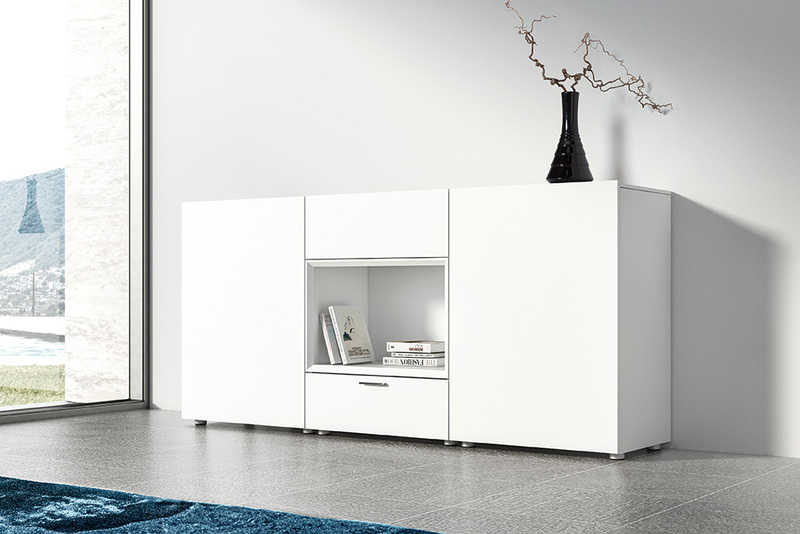 With the GEHA cupboard system, you can add accents to your room at the same time as creating useful storage space. Just as much a part of GEHA are the matching pieces. Often it is the little things that make good things perfect. The sophisticated range of accessories complements the optical appearance and functionality of your bedrooms in an ideal way, since it offers a lot of possibilities to design the interior of your wardrobe. For over 80 years, Geha have been producing innovative quality furniture for the bedroom at Hövelhof – at the heart of the East Westphalian furniture industry. They put great emphasis on individual design, noble woods, varnish, glass and metal as well as best processing according to ecological and technical standards. Geha is known for innovation, individual solutions and excellent quality made in Germany. Stay in touch to see tips and hints, customer reviews, recent projects, new product developments, offers and much more!